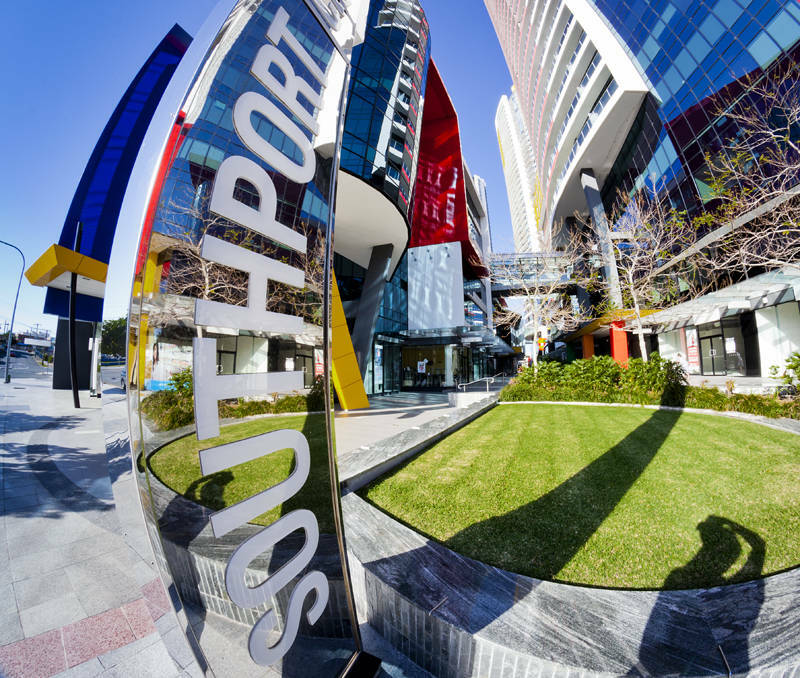 This is Southport Central in Queensland, Australia. My boss at Panedia lent me an 8mm fisheye lens which has a 180 degree field of view. It was an interesting experience shooting with such a wide angle. I normally cannot shoot wider than 24mm which is about 65 degrees. It is three cameras and lenses just like this which are used in the underwater photography we are currently working on for the Seaview Survey. We also met up with Blan today who was visiting a local artist Marji Hill. Blan treated us all to fish and chips on the Spit. Australia is having a general election today, we are yet to discover the result!